We have a great opportunity next week for educators who use SMART technologies in their classroom. CCS Presentation Systems is taking its AV solutions around the country with their mobile training center. 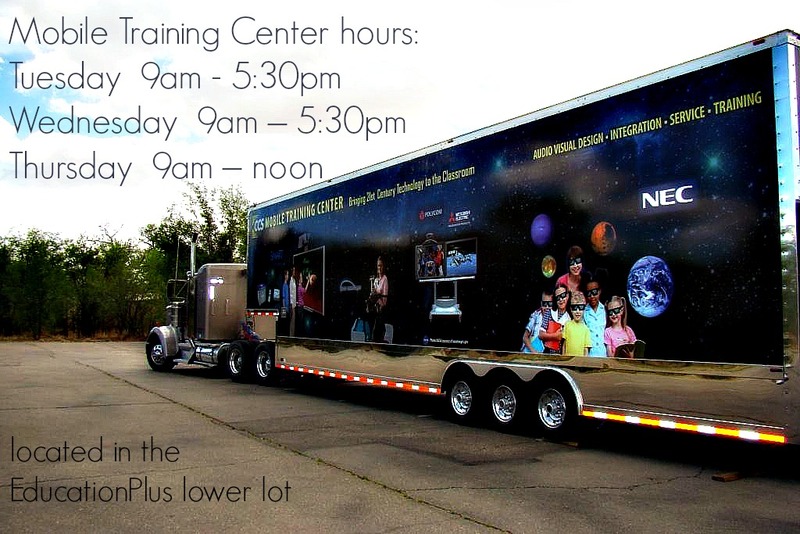 April 8-10, the mobile training center will be at EducationPlus in St. Louis, in the lower lot, and open for interested educators. Equipment on board includes Samsung 55” display, InFocus Mondopad, wireless document cameras, Epson projector, SMART Board 880, plus more. On Wednesday, two free workshops will be offered (9-12 and again 1-4) by SMART Certified trainers. 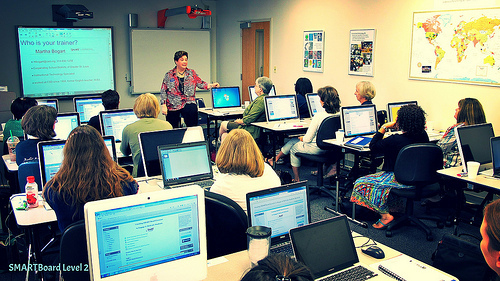 The session will focus on the integration of Notebook software into the Common Core and a preview of SMART Notebook 2014 and its exciting new features, including: instant feedback, student data retrieval, improved math tools and much more. Registration is requested for the workshops. This mobile training center is on a three month national roadshow that will participate in 30 events. You can follow its visits by searching #ccsroadshow. Questions? Leave a comment and we’ll respond! Students and teachers are spending more time on the web, both in and out of school, more than ever. In this workshop, we will dive into the world of web apps that give students the ability to create, not just consume. We will discover websites for producing video, mixing and recording audio, and publishing websites, documents, and more. Please note: all the web apps will be great on Chromebooks in the classroom. Flipping Your Classroom with Video Cameras & Screencasting​ is a professional learning opportunity taking place at Cooperating School Districts July 24, 2013. The Flipped Classroom is one in which teacher presentations are videotaped, and students have a chance to watch on their own time. Then during class, the students practice what they have learned under the guidance of the teacher. This workshop will explore various online resources for “flipping” your class, and will explore how to use a digital Flip Camera, and IWB software like SMART and Promethean to create your own flipped class. To read more on the workshop, or to register for it, visit our online registration system. Today SMART Certified Trainer Martha Bogart is teaching SMARTBoard Level 2 in the tele at Cooperating School Districts. This week’s workshop filled so quickly, another session of Level 2 was added on the schedule for Tuesday, June 11. Note- today’s workshop and Tuesday’s are not a workshops for beginners. 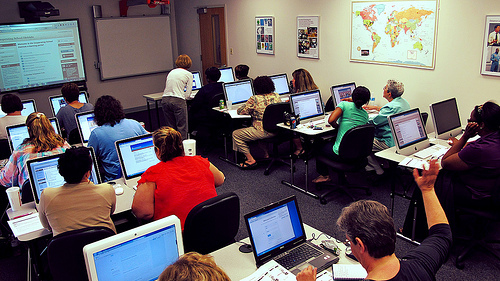 Summer workshop season has kicked off here at Cooperating School Districts – we have a full house for SMARTBoard Level I. What workshop are you looking forward to most?